NEMO is a Science museum in centre of Amsterdam. 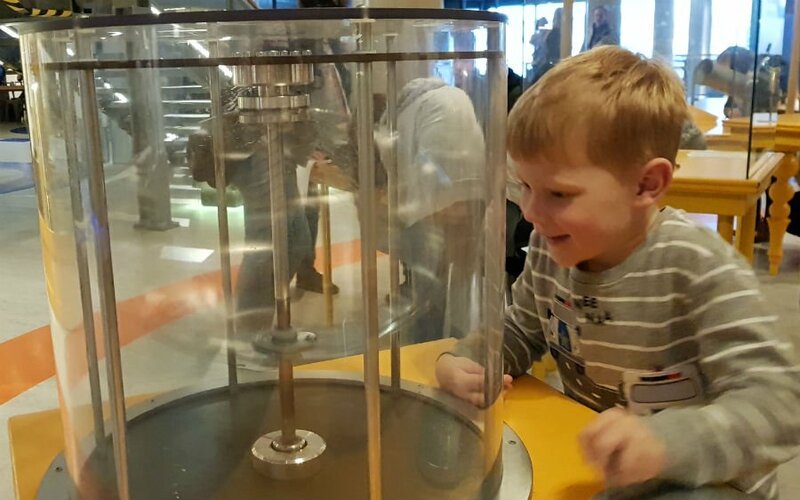 It is the largest science museum in The Netherlands and attracts over 670 000 visitors annually. 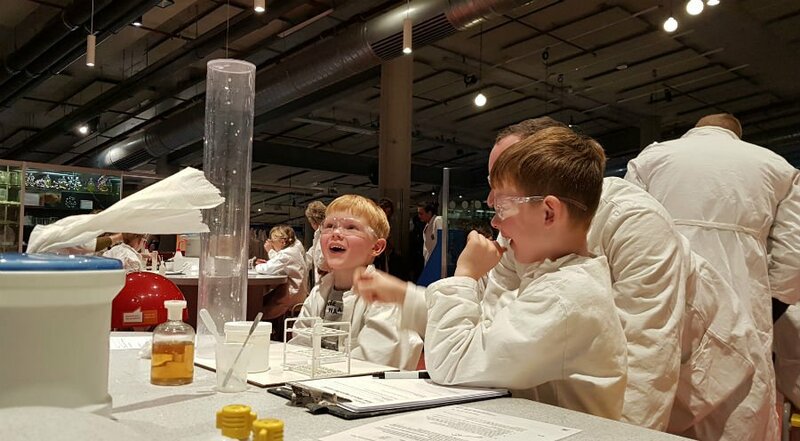 There are over 5 floors of hands on science exhibitions which children are encouraged to interact with them to learn more about themselves and the world around them. 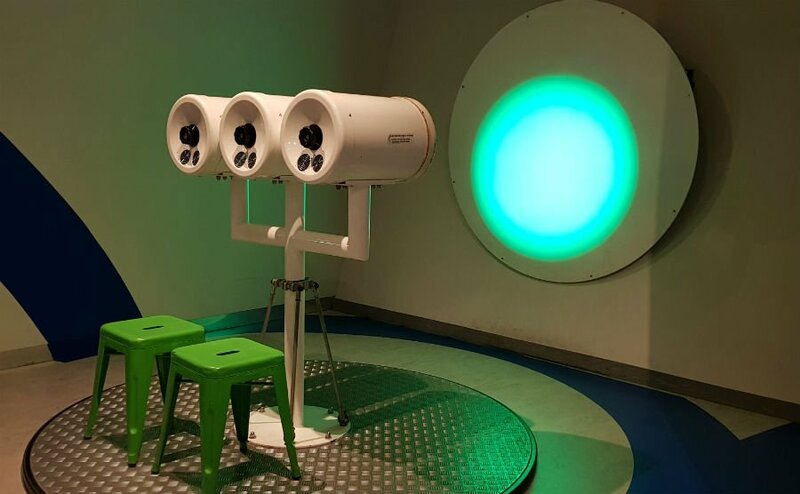 The museum is housed in a distinctive green structure at the head of the IJ tunnel which runs underneath Amsterdam. 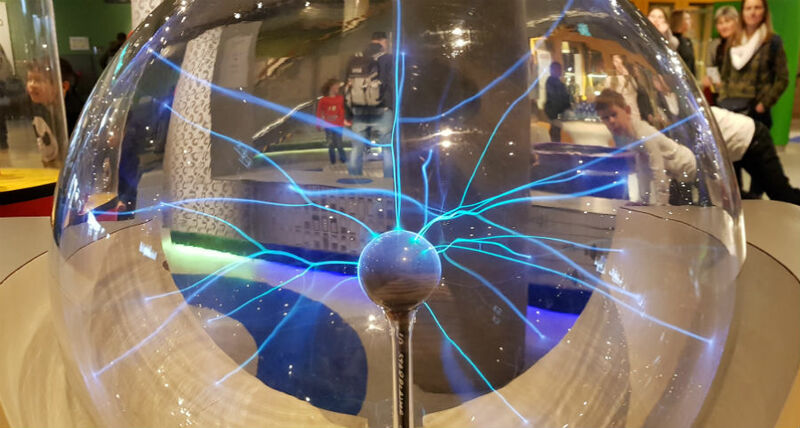 It is a busy, bustling type of museum which engages children and encourages them to get physically involved in science, whether that be through touching lightening, building dams or learning about how rainwater gets into our taps. 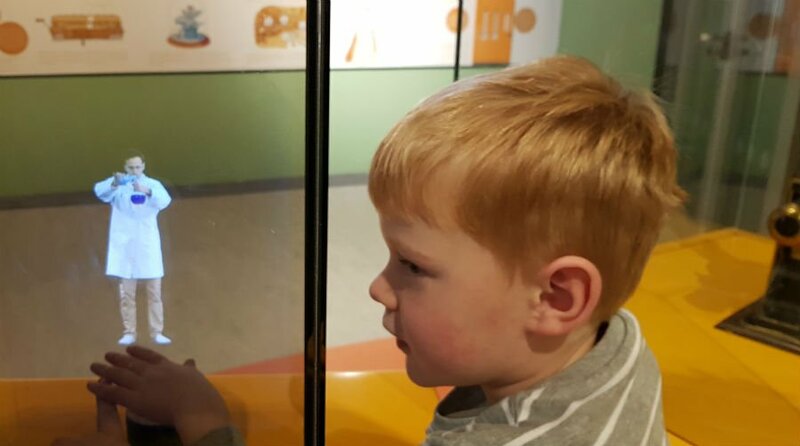 Read on to find out more about why families should visit NEMO. The 1st Floor is the Fenomena exhibition where you can learn how science works. It is more like an interactive playground than a museum, packed full of things to touch, play and experiment with. My children loved building a house and learning how light, sound and static electricity works. Each exhibition has a question to initiate their thinking and then a short explanation about the science behind it. It isn’t too wordy and is pitched at the right level for younger children. This is a great floor for younger children. They will love the water play activities where you can grab a bucket and learn how to make clean drinking water by wasting as little as possible. They can also build dams whilst learning about flooding in The Netherlands. The highlight of this floor for my children was the ‘production line’ which children could work on to ensure the efficient picking and packing of online orders. There were touch screens to use to process the orders, and joy sticks to move the orders onto the production line. There was also a constructor’s area where children can build different shapes. The 3rd floor at NEMO focuses on how the Cosmos was formed, so it is probably better for older children. However, it is also the home of the NEMO Lab where children (supervised by adults) can conduct their own experiments. Trainee scientists put on their lab coats and safety goggles and choose an experiment to carry out using household items. My boys decided to make a space rocket so we headed to our own workstation in the lab to follow the instructions which had been left for us. The experiment was really easy to do, and my boys were able to do most of it themselves. Each experiment only takes 10 mins so it is perfect for younger children. Energetica is on the roof of NEMO, and lets children learn about wind, water and solar energy through play. There is a water play area and comfortable chairs where parents can relax and admire the views of Amsterdam. The restaurant is on the 5th floor too, and this serves healthy, homecooked food. The museum is huge so give yourselves plenty of time to go around it. It does get busy, so I’d advise you to get there at opening time and head to the upper floors and start working your way down. The first 2 floors at the best for young children. Children aged 4+ and adults cost 17.50 Euros to get in. The museum is a short walk from the Central train station. There are 2 cafes and restaurants onsite serving healthy homemade food. There is also an area to eat your picnic if you choose to bring your own food. 21 Toddler Friendly Holidays That Won’t Break The Bank!